It‘s been more than 40 years since a Japanese scientist first discovered the amazing sterilizing, oxidizing, deodorizing, and anti-fouling properties of titanium dioxide. To trigger the cleaning abilities, the substance needs to be exposed to sunlight, UV light, or nitrogen ions. Since the 1960s, titanium dioxide has been utilized in many applications – including a device designed by NASA to prevent food from turning bad. Eating in space is real science. There are many issues to solve – crumbling in microgravity, contamination and shelf life (Credits: NASA). NASA scientists decided to look into possibilities for using titanium dioxide to tackle issues of ethylene gas elimination at the International Space Station. Ethylene gas is a natural chemical substance that regulates a growth cycle of plants and speeds up ripening of vegetables and fruits. Its presence, however, also speeds up rotting after the fruits have been harvested. NASA joined forces with the University of Wisconsin and created an air-purifying system called Airocide. Since its creation, Airocide has been utilized in many applications – it does not only remove ethylene gas but also other air-borne pollutants such as mold spores, mites, bacteria and viruses. After serving at the International Space Station, the technology was offered, through a commercial company, to grocery stores, food-packing plants, hospitals and, in spring of 2013, to households. So how does it work? Inside a box (the size of a small flat TV set) is a reaction chamber containing thousands of minuscule glass tubes coated with titanium dioxide. A beam of high intensity light illuminates the tubes, triggering the TiO2 to produce hydroxyls. Meanwhile, a fan in the back of the chamber draws air in, which then reacts with the hydroxyls. This process breaks down all the harmful airborne molecules. 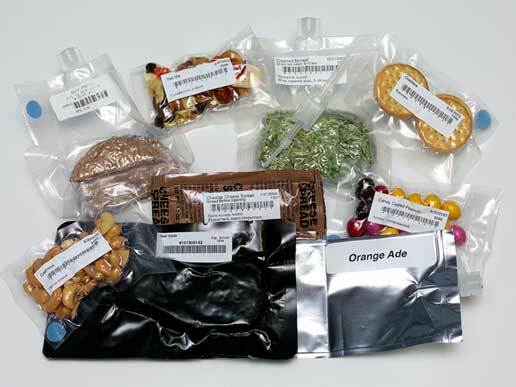 Pathogens in food pose a real risk for astronauts during space missions. They have to put up with high levels of stress and have limited access to medical care. “I did not want a telephone call at 2 o’clock in the morning from Chuck [Charles A.] Berry, who was the chief medical officer of NASA, telling me that his astronaut or astronauts were sick and had stomach problems and were having a hard time holding things down,” Lachance told interviewer Jennifer Ross-Nazzal in a May 2006 interview for the NASA Johnson Space Center Oral History Project. 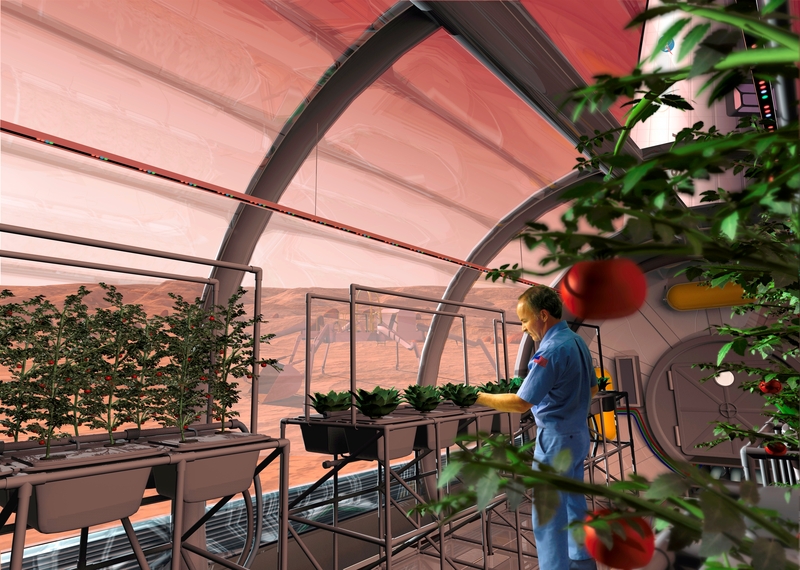 The need to remove ethylene gas produced by green plants on the ISS became an incentive to create Airocide (Credits: NASA). Pathogens in food are generally not desired. According to the US Centers for Disease Control and Prevention, about 48 million people (1 in 6 Americans) get sick, 128,000 are hospitalized, and 3,000 die each year from foodborne diseases. But in space the issue of food safety is imperative. “We have to realize that this was the first time in the history of the American—or of the food industry in the world, in fact—but for the United States, that zero pathogens in foods was required,” Lachance explained the motives that inspired the HACCP. The method aims at identifying potential hazards at all stages of the food production process beginning with production, through processing, packaging to distribution and storage, and applying preventive measures. The method is one of the very many successful space spinoffs that spread far beyond its original niche and became an integral part and a standard for modern, science-based, food safety system. The Airocite air cleaner, discussed above, therefore presents a continuation of a decades long legacy of the food safety system benefiting from space.